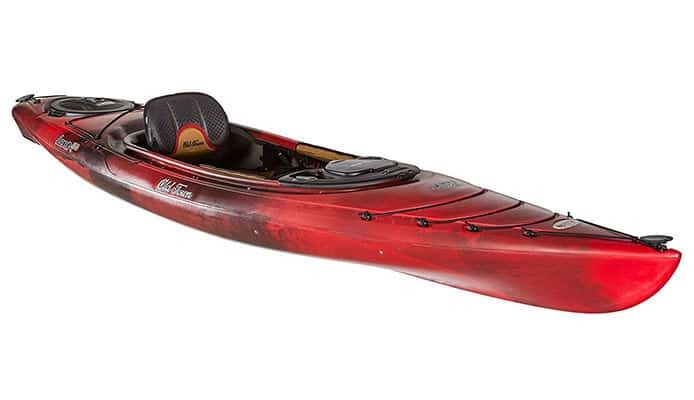 The Old Town Loon kayak is a well-known and liked sit-inside recreational kayak that has been among kayaker favorites for a very long time. It comes from a renowned manufacturer which has plenty of experience and an ear for customers’ needs. This is why the Loon is one of the most comfortable kayaks you’ll come across, while still being incredibly easy to paddle. The cockpit is spacious and equipped with adjustable footrests as well as the top-level ACS2 kayak seat. This seat is what makes the experience so good – it’s heavily padded and fully adjustable in any direction. However, this kayak is not just about comfort, it’s about functionality too. This is why you get a smart workdeck for keeping small gear within hand’s reach, and even charging your devices through an integrated USB port. 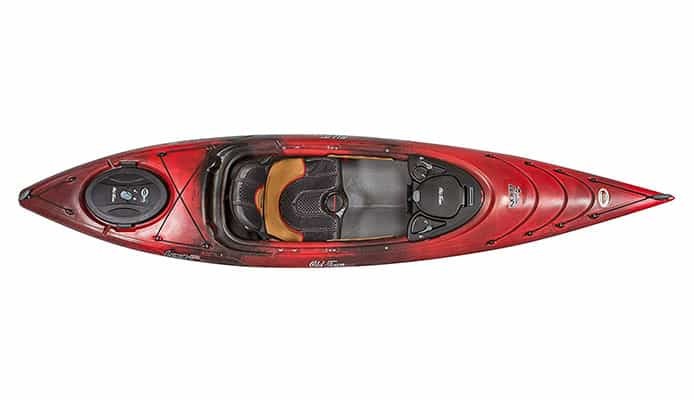 You can take this kayak on longer trips too, thanks to the large dry hatch which can hold all of your gear. Finally, the hull of this kayak is made of three different layers which not only increase durability, but also make the kayak more buoyant and safe. Bottom line, it’s a well-rounded vessel that can handle any challenge on the water. If you like it and want to learn more, make sure to go through the rest of the review where we break down all the features. Performance: Kayakers say that the Loon is surprisingly fast and that it can even keep up with some much longer kayaks. This has much to do with the keel design, which is sharp and V-shaped so it cuts through the water better and more efficiently. Additionally, tracking is also much better than you would expect from a 30in wide kayak. The Loon works best on calm and slow water, but it can handle some waves and rapids as well. Thanks to the sit-in design, you can use this one even in colder weather. The cockpit gives you protection against splash and wind, and helps keep you warm. Of course, you also need to think about what to wear kayaking if you’re going out during colder months. Stability: A good balance between length and width makes this kayak very stable. Users say that you can get in and out with ease. As we mentioned, the hull is V-shaped instead of flat, which favors secondary stability. What this means is that it’s perfectly safe to lean on the side when making a turn, without fearing the kayak is going to tip over. On the other hand, the primary stability is lower, so it’s not recommended that you stand up inside this kayak. It won’t flip over, but it feels a bit tippy which may cause you to lose balance. Of course, no matter how safe a kayak is, always wear a life jacket when you go on your adventures. Storage: Paddlers say that a really large amount of gear can fit inside the Loon Old Town kayak. In the stern area, you’ll find a spacious and waterproof Click Seal hatch. It is separated from the kayak interior with a bulkhead, which is an added plus. It can even fit a camping tent or a larger bag if you’re going on a multi-day trip. In addition, users really like the deck-rigging on this kayak, with well-placed bungee cords. Even though these areas are not very large, they are functional for stowing a dry bag or other similar items. This kayak also comes with a specially designed removable workdeck. It has a dry compartment of its own, as well as a couple of trays and a gear track. Probably the most interesting feature is the integrated USB port. It allows you to place a portable charger inside, and then use the port to charge your phone, a waterproof camera, or any other device. The small gear track is universal and can be used to mount a holder for a fishing rod or for your camera. In addition, this workdeck can be easily removed from the kayak. Some people use this extra space in their cockpit for a small dog or even a child when kayaking with kids. Removing the workdeck can also be useful for transportation, especially if your gear is already mounted on it. Finally, you may want to remove it when installing a spray skirt, which is often needed for cold water kayaking. Comfort: Kayakers thoroughly enjoy the comfort of this sit-in kayak. It successfully manages to avoid all the traps that come with a confined cockpit in this type of kayak, mostly through smart design. The cockpit opening is large, and the space inside is open towards the bow. You are also getting adjustable footrests inside, with comfortable positions even for tall kayakers. Furthermore, the ACS2 seat is one of the best kayak seats on the market right now. Users say it feels great even after many hours sitting in it, and we already mentioned the generous padding which gives you a cozy feeling. What’s even better, you can adjust the seat without getting out of the kayak. The backrest angle and height are adjustable, as well as the angle of the seat pan so it gives you better thigh support. Portability: This kayak isn’t the most compact one you can get, and you need to keep that in mind when buying. This being said, paddlers claim that the carry handles on the bow and stern are comfortable, strong, and make it really easy for two people to carry the kayak. Additionally, the hull comes with a protective skid plate, that allows you to drag the kayak in and out of the water without damaging it. As for transportation, you should consider getting a roof rack for the kayak. To make things easier, the seat can be folded so you can put a cockpit cover on the opening. 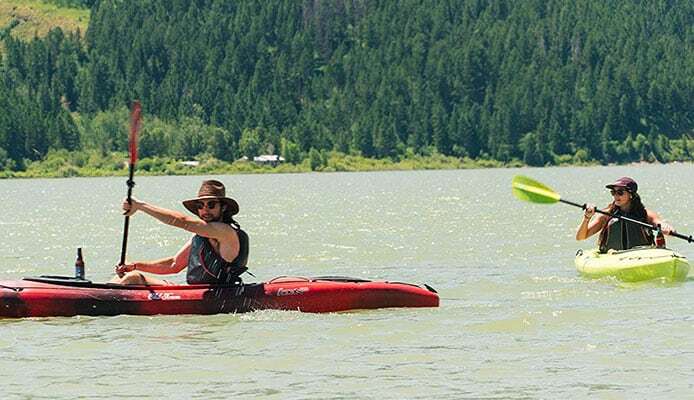 Price: 85% – The Old Town Loon kayak is not exactly budget-friendly – it costs a bit more than your average recreational kayak. But the reason is that it isn’t an average kayak at all, it’s much more than that. You can expect top-level quality in every aspect, which makes it worth the money. Material: 100% – We really like the build quality of this kayak. Even though most kayaks are made of polyethylene, the Loon has three different layers which make it incredibly strong. In addition, the middle layer is made of foam and greatly increases the buoyancy of the vessel. Design: 95% – This is a smartly designed kayak that concentrates on long-term comfort and functionality. You get a roomy and adjustable sitting position, as well as more than enough storage for everything you need to bring with you. Of course, you want your new kayak to look good too, and this one will definitely stand out. Overall: 93% – We respect the attention to detail that went into making this kayak. If you value quality over everything else and want to invest in a well-made product, this kayak will make you happy for many years. 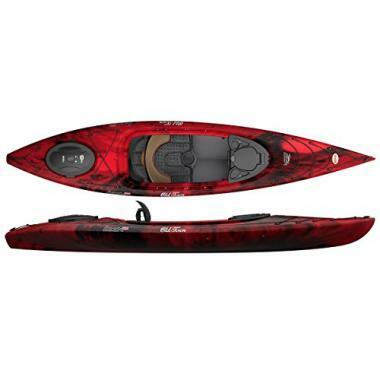 The Old Town Loon 120 is a high-quality kayak that really delivers. You can expect top-notch comfort and a very enjoyable kayaking experience. Of course, we must mention the fantastic design again, which really contributes to the overall impression. The seat, workdeck, and storage solutions really make it outstanding. We loved it, and would recommend it to any recreational kayaker – it has everything needed for an amazing day! 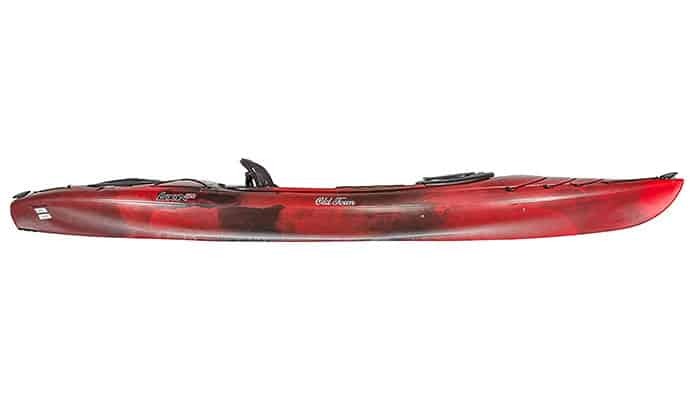 The Old Town Loon kayak is a well-known and liked sit-inside recreational kayak that has been among kayaker favorites for a very long time.